Safarilink operates daily scheduled flights to Vipingo Ridge from Nairobi and Diani respectively. Vipingo is one of the most beautiful, scenic and tranquil locations on the Kenyan Coast and is home to a five-star private residential golfing destination. 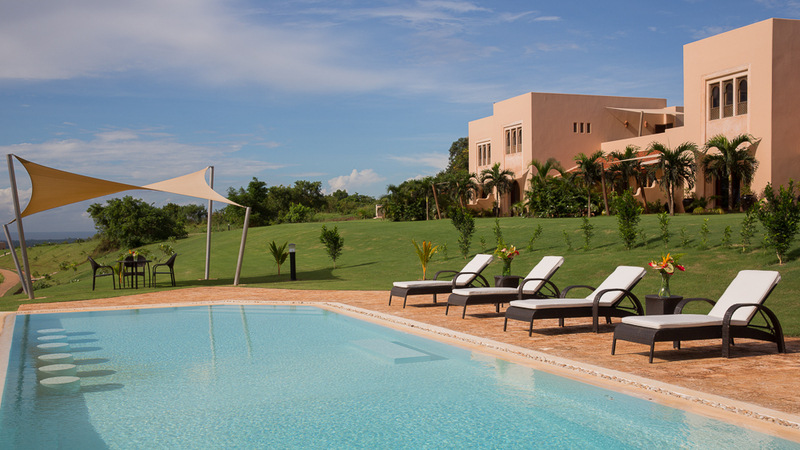 Vipingo Ridge is located to the north of Mombasa, and off the Mombasa–Malindi road. This exclusive 2,500 acre residential Resort is centred around an outstanding Clubhouse and two 18-hole championship golf courses. At Vipingo Ridge you will find a tennis court and a bar. A private beach club is located 10 minutes' drive from the clubhouse and provides beach lovers with direct access to a sandy white beach. Activities available include golfing, horse riding, mountain biking, bird watching and croquet. Vipingo boasts of an isolated and important pocket of coastal forest, providing an important sanctuary for many coastal forest species of flora and fauna. The forest meets with white sandy beaches, and old coral cliffs and on spring high tides the Indian Ocean laps at the feet of this valuable, yet threatened ecosystem. This service will not be limited to persons staying at Vipingo Ridge, it provides a convenient alte;rnative to Malindi or Moi International airports for all residents and tourists residing between Kilifi/Mtwapa & Nyali.